To study the ultimate bearing capacity of Concrete-Filled Steel Tube (CFST) K-joints, theoretical analysis and numerical simulation methods were adopted. A finite element model of a K-joint was established and verified with test data. Based on this model, the failure modes of the K-joint were studied. The results showed that the load-displacement curves of CFST K-joints can be divided into three stages: an elastic stage, an elastic-plastic stage and a failure stage. There were two types of failure modes for K-joints: local buckling failure at the connection between a branch pipe and the main pipe due to compression and tearing failure at the connection between a branch pipe and the main pipe due to tensile forces. The factors that influence the ultimate bearing capacity of CFST K-joints were studied, and the results were as follows. The ultimate bearing capacity increased as the radius-thickness ratio of the main pipe, radius-thickness ratio of the branch pipes and gap between branch pipes decreased. Additionally, the ultimate bearing capacity of the CFST K-joints increased with increasing core concrete grade, outer diameter ratio and thickness ratio between the branch pipe and main pipe. As the angle between the axis of the branch pipe and the axis of the main pipe increased, the ultimate bearing capacity initially decreased and then increased. As the axial pressure level in the main pipe increased, the ultimate bearing capacity of the K-joint initially increased and then decreased. A positive linear correlation was observed between the growth coefficient of the ultimate bearing capacity and the scaling factor. Moreover, the ultimate bearing capacity of CFST K-joints can be significantly improved by using core concrete. 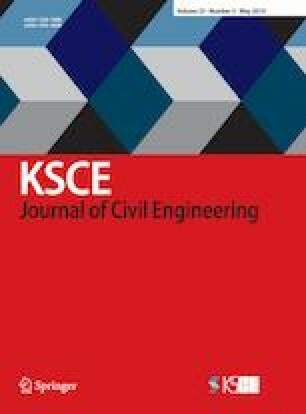 Finally, formulas for the ultimate bearing capacity of K-joints under different failure modes were proposed, and the results provide a reference for the design of CFST arch bridges.